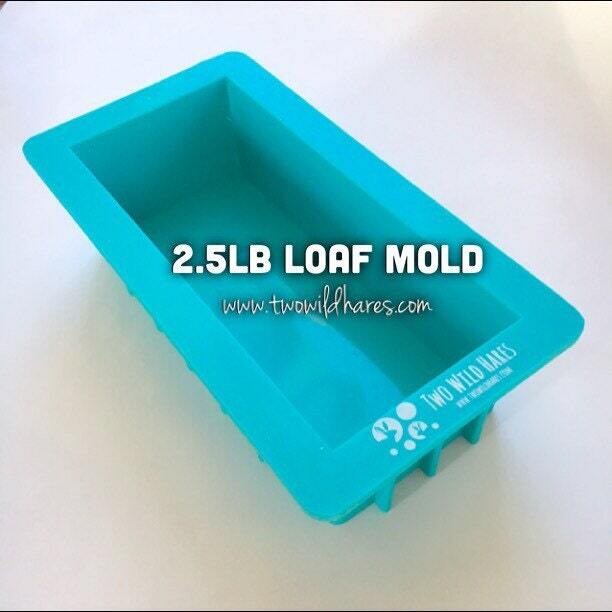 This is a heavy duty, non-bowing, silicone loaf shape soap mold. The inner cavity is 8" long by 3.5" wide by 2.5" deep. It' makes a nice standard size bar of soap that fits nicely in your hand. You can cut them to the thickness you prefer. 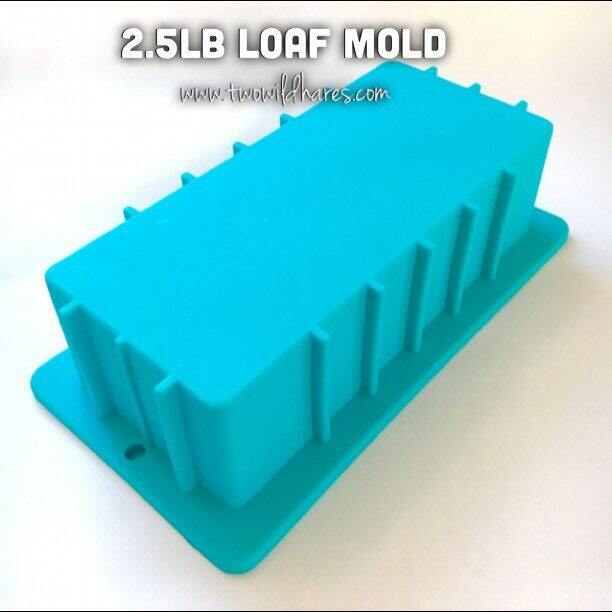 This mold holds 2 1/2 lbs liquid volume. 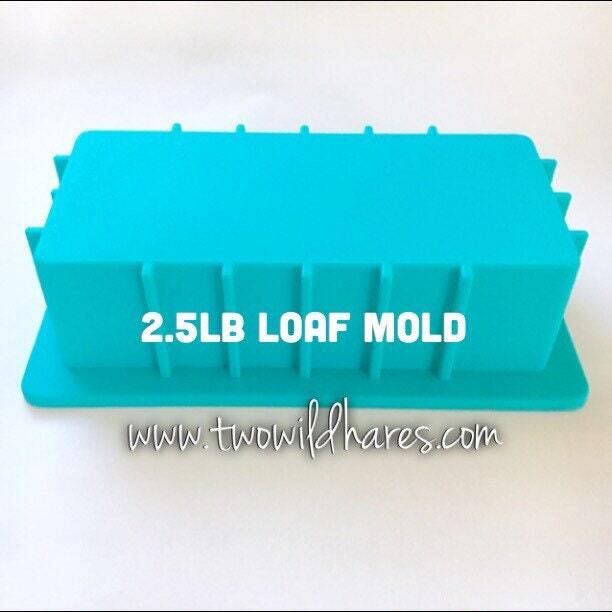 These loaf molds are standard equipment every soaper should have whether you're a beginner or a seasoned soap maker. They're perfect for trying out new recipes & they're awesome for master batching soap as well. These molds are a nice size to be able cold-process-oven-process or freeze to stop gel because they fit easily in freezers and ovens. So, when you want to cpop or freeze, use this mold! This listing is for 2 soap mold. 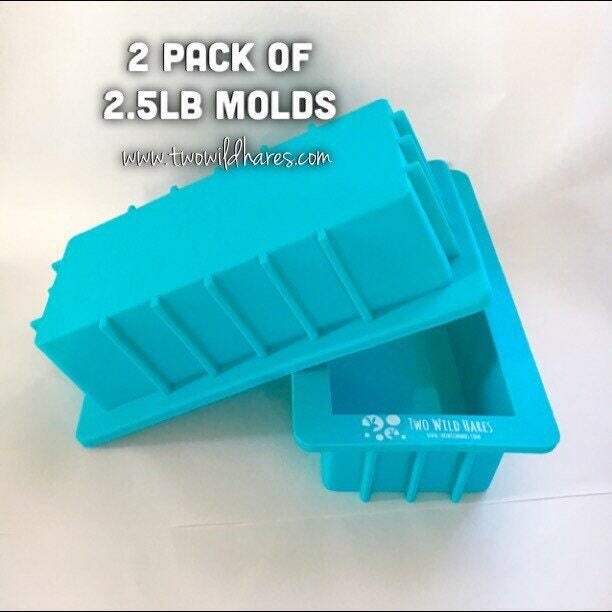 We also have a bulk price listing for 4 molds and a listing for a single mold. 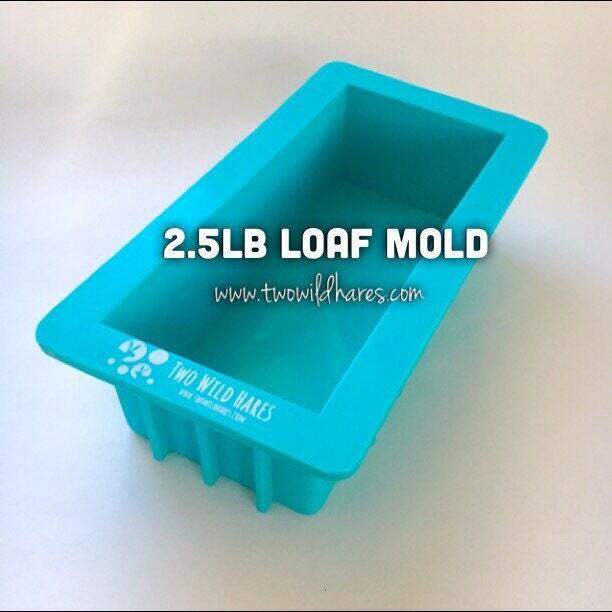 TIP: Use these molds to split a large batch into 4 different varieties. Mix 9 lbs of plain soap to thin trace, pour 2.25 lbs into 4 different bowls, add scents, additives & color to each bowl & then fill 4 molds. With one batch, you now have 4 varieties. Masterbatching is a great way to make good use of your time in soapmaking. Fast shipping, great quality. Can't wait to use them! Thanks! Shiped like lightening. Excellent quality. Thank you.